Women with mild cognitive impairment (MCI) have two times faster decline in cognition than men with MCI, according to new research reported at the Alzheimer’s Association International Conference 2015 (AAIC 2015) in Washington, D.C. In addition, women decline, more dramatically than men in cognition, function and brain size after surgery and general anesthesia, according to another study reported at the conference. MCI involves a slight but noticeable and measurable decline in cognitive abilities, including memory and thinking skills, but the changes are not severe enough to interfere with daily life or independent function. A person with MCI is at an increased risk of developing Alzheimer’s or another dementia. Almost two-thirds of American seniors living with Alzheimer’s disease are women. At age 65 women without Alzheimer’s have more than a one in six chance of developing Alzheimer’s during the remainder of their lives, compared with a one in 11 chance for men. Women in their 60’s are about twice as likely to develop Alzheimer’s disease over the rest of their lives as they are to develop breast cancer. Toward this goal the Alzheimer’s Association is conducting a campaign – the Women’s Alzheimer’s Research Initiative – to raise $5 million; the Association plans to award a series of research grants to gender-related issues in Alzheimer’s and other dementias. A recent Alzheimer’s Association-convened think tank on “Gender Vulnerability Related to Alzheimer’s Disease” looked deeply into these issues and plans to develop a manuscript of the meeting proceedings for publication. The focus was on three main topics that may link gender and vulnerability to Alzheimer’s disease: biological mechanisms, hormonal factors and lifestyle factors. Katherine Amy Lin, Wrenn Clinical Research Scholar in Alzheimer’s disease, Duke University Medical Center, and colleagues used data from the Alzheimer’s Disease Neuroimaging Initiative (ADNI) to study how the cognitive abilities of about 400 people with MCI (141 women and 257 men), mostly in their mid-seventies, changed over the course of up to eight years. The found a clear answer: cognitive abilities of women in the study with MCI declined twice as fast as men’s – a result that was statistically significant. Cognitive abilities were measured using the ADAS-Cog (Alzheimer’s Disease Assessment Scale-cognitive subscale), one of the most frequently used tests to measure cognition in clinical trials, which has 11 parts and is scored from 0 to 70. The researchers found that the rate of decline in men was 1.05 points per year, in women it was 2.3 points per year. 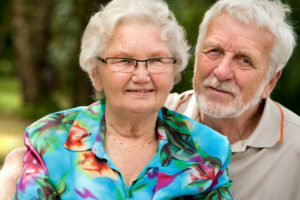 People of both genders with the ApoE4 Alzheimer’s risk gene had a faster rate of decline. After adjusting for age, education, baseline Mimi Mental State Examination score, follow up time and ApoE4 status, the effect of gender on ADAS-Cog rate of change was significant (p=0.005). The variability of cognitive change was also much greater in women than in men. “Because the ADAS-Cog is increasingly used as a cognitive outcome in prevention trials, our findings suggest the need to consider gender in the design and interpretation of such trials,” Lin added. Women exposed to general anesthesia during surgery also declined on those measures and at a significantly faster rate than men. That difference was even more pronounced for women who underwent multiple surgeries with general anesthesia.